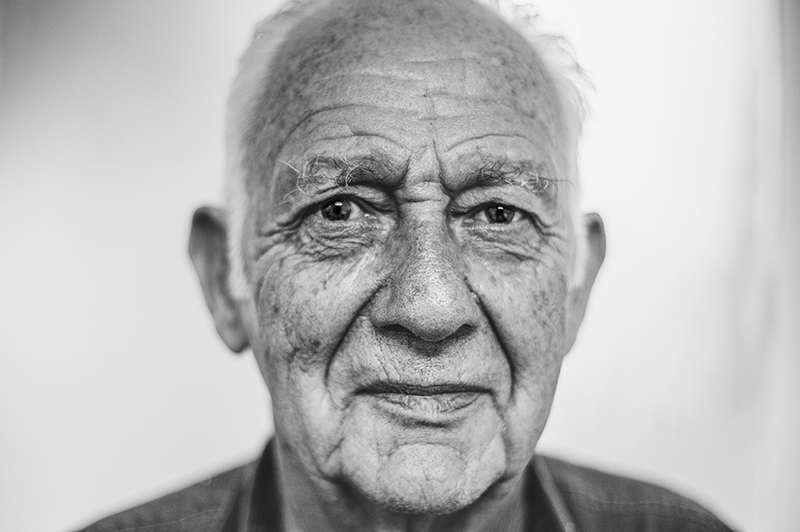 Age-related macular degeneration (AMD) is a common aging disease of the back of the eye. The condition involves the retina in an area called the macula, which is responsible for central vision. Degeneration occurs of the photoreceptors in the macula resulting in loss of central vision. The disease can impact an individual’s ability to drive, read, and other activities of daily living. The Bochner Eye Institute is the first eye care facility in North America to offer a corneal procedure that can result in improved vision for patients with AMD and other conditions with central vision loss. Low vision patients with central vision loss and a best-corrected visual acuity between 20/60 and 20/800 are potential candidates for this new procedure. The best candidates are those with dry AMD, Best disease, and Stargardt disease. Other potential candidates are those with macular holes that were unsuccessful with prior surgery, and those with reduced central vision from macular scars. Future conditions to be evaluated include dry diabetic maculopathy, glaucoma with central loss of vision, as well as for a lazy or amblyopic eye. Q: What is the range of improvement in best-­corrected vision? A: Clinical studies over the past three years have shown significant improvements in vision, as well as quality of life. For the average patient, the improvement in vision provides enhancement of daily activities requiring both distance and near vision. Patients have also noted improvements in colour, peripheral and night vision, together with disappearance or diminution of pre-existing blind spots or wavy lines. Q: How long can one expect the procedure to last? A: The first patients that were treated specifically for AMD had their surgery over three years, and best- corrected visual acuity and quality of life has continued to improve or has plateaued. The improvement in vision over time is related to neural processes including neuroadaptation. Q: Is the treatment area visible to the naked eye? A: The laser treats very small and superficial areas in midperipheral regions of the cornea outside the pupillary zone. These faint spots can be visualized only with a high powered microscope that eye doctors use, referred to as a slit-lamp. Treated areas cannot be seen by the naked eye and, therefore are not of cosmetic concern. 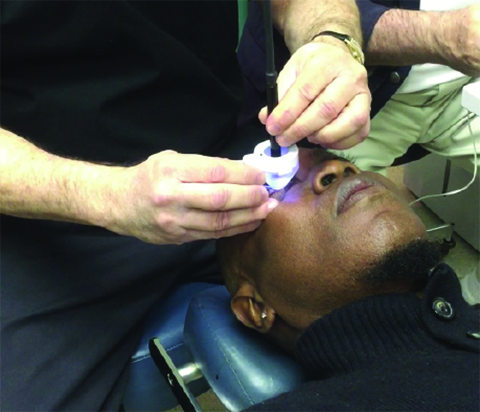 Q: Is the Corneal Laser procedure easy to undergo? A: This procedure is much easier to undergo than any other eye surgical procedure. There has been no reported discomfort during or after the laser procedure. Q: What testing is performed to determine if someone is a good candidate? A: At the Bochner Eye Institute, we determine the best-corrected vision for both distance and near. Sophisticated corneal imaging tests are performed -including computerized elevation of the front and back of the cornea, curvature maps, and thickness tomography. The line of sight is determined, referred to as Angle Kappa, under both normal light and dim light using wavefront technology. Potential visual acuity testing is performed to estimate the amount of improvement that can be achieved with treatment. Anesthetic drops are instilled to freeze the front of the eye. No other medications are required. The patient sits on a motorized chair, which is then reclined. The laser beam is checked by the surgeon to be sure the energy level and other variables are within a specific range. A suction device with a built- in cross- hair is centered over the pupil, and then a vacuum is activated to secure the suction device to the front surface of the eye. A laser head is placed in the centre of the suction device. 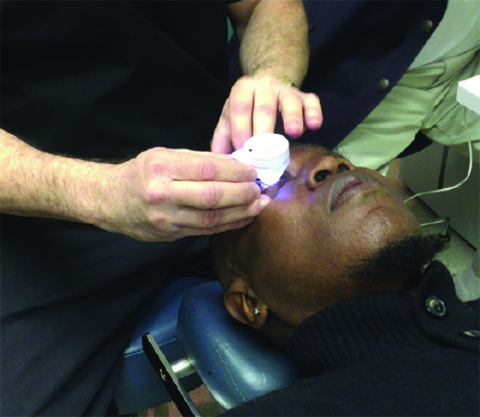 The surgeon then activates the laser beam to create a corneal treatment outside of the pupillary zone. The vacuum is released and then the suction device is removed from the eye. If both eyes are to be treated, then the procedure is repeated for the other eye. The chair is repositioned and then the patient can walk out of the operating room. Q: What is the postoperative care? A: No postoperative drops or oral medications are needed after surgery. Patients are typically very comfortable after the procedure. Patients are seen postoperatively at one month, three months, six months, and twelve months following treatment. Follow-up visits can be done at one of the Bochner facilities or by the referring eye doctor. Q: What has been the satisfaction level of patients that have been treated? A: Satisfaction levels have in general been very high. It is often important for patients to understand their level of vision prior to treatment and then compare that to the way they are seeing after the surgery. Similar to postoperative cataract patients, some low vision patients forget what their vision was like prior to treatment. Q: Why are the results better than wearing glasses with prisms? A: A prism only relocates images to one location. Alternatively, the Clear-K® CPV laser procedure relocates images to several locations and, therefore, has a higher probability of stimulating functional retinal cells. Q: Why are the visual outcomes better than simple magnifiers? A: Magnifiers simply enlarge the image on to the macula. The laser technique shifts the focus of the image to different retinal locations that potentially have improved visual function. A: The safety profile is excellent with a low energy level laser and a superficial treatment in the cornea. The laser wavelength only penetrates very superficially into the cornea. This means there is no risk to the intraocular structures of the eye such as the deeper layers of the cornea, iris, crystalline lens, retina, or optic nerve. There have been no reported complications. Q: Why is this technology a major breakthrough? A: This is the first noninvasive technology that can help patients with dry AMD and other retinal disorders with central vision loss. 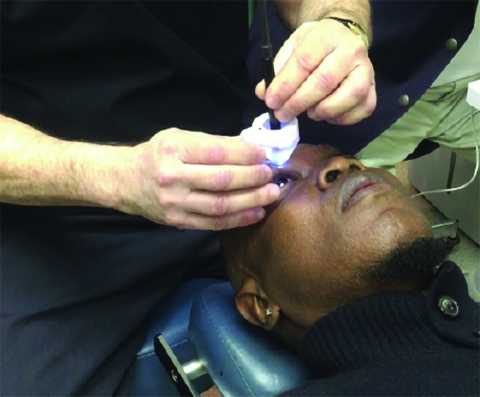 Invasive procedures that are performed in other countries include removal of the crystalline lens and replacement with a prismatic intraocular lens implant or an intraocular miniature telescope. Q: Why does the Ontario Health Insurance Program (OHIP) not cover all or part of the cost of the procedure? A: The Clear-K ® CPV procedure is considered a refractive procedure that alters the cornea to redistribute light to the retina. OHIP does not cover refractive procedures. Other refractive procedures not covered by OHIP include laser vision correction procedures such as LASIK or PRK, topography- guided lasers to improve irregular corneas, a refractive lens exchange, and correction of astigmatism at the time of cataract surgery. Click here to download our brochure on AMD.